Julia became an attorney in New York has remained a formidable force to reckon with ever since. Julia focuses on divorce and separation, child custody, domestic violence as well as uncontested divorce. Some of Julia’s clients have been known to describe her as being as aggressive as a very hungry shark in the wild ocean; an analogy which captures her passion for the law and how passionate she is about ensuring that her clients achieve the desired results. Julia has been active in the legal profession long enough to immediately identify and understand where a case is likely to be more complex than others. 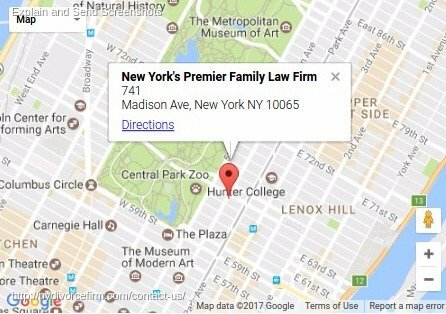 Applying every available resource to the most complicated divorce, separation, custody and domestic violence cases, Julia’s reputation in the field of family law in New York is unrivaled. She provides her clients with well-tailored representation which perfectly suits their particular circumstances. One of Julia’s best approaches is to lay the law as it relates to her client’s case bare before them, giving the client the opportunity to make a well-informed decision about how to proceed with their divorce, settlement or child custody case. Simply put, with Julia Vangorodska on your side no matter what the facts of your case are, you are assured of the most professional representation ever. Julia is not only a renowned divorce lawyer; she is also extensively experienced in all matters relating to family law. Julia is a family law and divorce veteran. Whether you need a firmly grounded attorney for domestic violence, asset distribution following the breakdown of your relationship, deciding on the custody of the children, Julia Vangorodska is on hand to provide you with specialist advice from a wealth of knowledge gathered and constantly renewed over the last four decades. 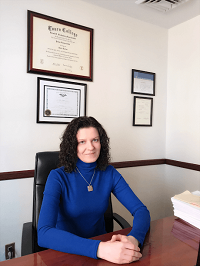 Juliya Vangorodska is a respected divorce attorney in New York City. The last thing people want to think about when they get married is divorce lawyers. The last piece of business people going through a divorce want is the headache of searching for a divorce attorney. Over 95% of divorce lawyers are obtained through referrals from friends. Julia has placed herself as the go-to attorney, not just for divorces, but for as an estate and probate lawyer also. With a substantial understanding of the law, interlaced with the complexities that make the law function, Julia has regularly confirmed her expertise as she easily guides clients through some of the life’s worst crises. She has become a forbidding force as she concentrates on divorce, separation, domestic violence, and uncontested divorce. She has been described by clients as suitably aggressive with a sound command of the court room. Applying every resource to even the most complicated cases, Ms. Vangorodska’s reputation is unrivaled as she provides her clients with tailored representation, suited to their particular circumstance. Upon completion of law school at Touro College Jacob D. Fuchsbe Law Center in New York, Ms. Vangorodska was admitted to the New York Bar Association in 2006. If you, or someone close to you, is being impacted in any area in which Ms. Vangorodska practices, Contact her today to disentangle from all complications and together forge a clear, straight and level path. 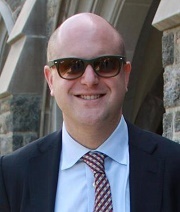 Talking with Daniel Kron is like taking a walking through Greenwich Village’s leafy streets. There are big trees and big topics: divorce and family law. 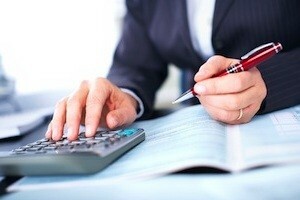 Each holds many branches like alimony, child support and who gets the use of the vacation home on alternating holidays. Daniel Kron has penetrated the top levels of divorce law by his knowledge and experience in the crowded field. Appropriately aggressive in his courtroom manner, Daniel Kron has been the one go-to attorney for the city’s elite who want to protect their interests through some of life’s most challenges times. With Daniel Kron no one is a number. He takes the time to learn his clients’ needs, feelings and backgrounds. He has the demonstrated ability of taking his clienteles’ unspoken desires and turn them into reality. Well known in the New York judicial system, Mr. Kron is accepted and renowned by judges and the rest of the state and city bar as a pro and his court room prowess is respected. Getting a divorce doesn’t mean your a bad person. Mr. Kron keenly and knows the right levers to move for the desired result. He ensures nothing is overlooked and after meeting with him for a no-cost consultation, he knows the best strategy for your situation. Mr. Kron excels at resolving complex family law cases. As one of the nation’s premier divorce attorneys, he provides exceptional counsel in court or at the settlement table. 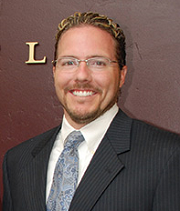 Chris Rogers is an accomplished lawyer in litigation, domestic & Family Law, contract law, negotiation and mediation. With a proven track record, this experienced lawyer has thirteen-years of experience, is well grounded through legal research yet has the ability to pivot and respond to ever-changing laws and regulations. Mr. Rogers has walked a host of clients through all aspects of litigation. Managed cases for partners, he was given full autonomy and made in-court appearances for a variety of hearings and trial matters. Oversaw the law firm, Anderson & Rogers’ family law division for eight years as he represented clients across a spectrum of family law matters including, custody, divorce and alimony. Ability to multi-task across multiple projects, Mr. Rogers maintains his commitment to quality service and integrous behavior. Bar Licenses: Licensed to practice law in the State of Utah and the State of New York.